While pesto sauce is a delicious Italian classic used for pasta, you can use it in many other different ways. 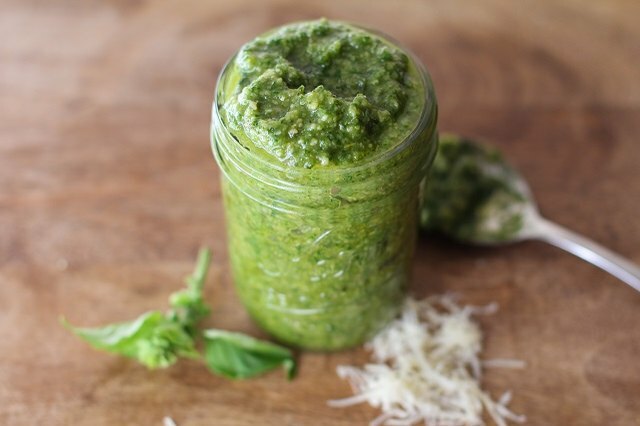 From drizzling on roasted veggies to spreading on sandwiches to dressing salads, pesto is a fresh way of livening up any meal. 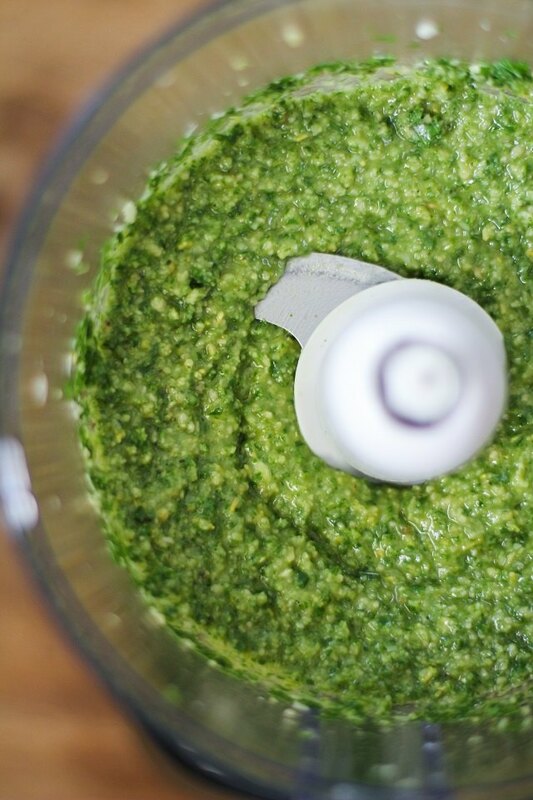 Use pesto sauce in your pastas, on your pizzas or as a marinade for chicken or fish. 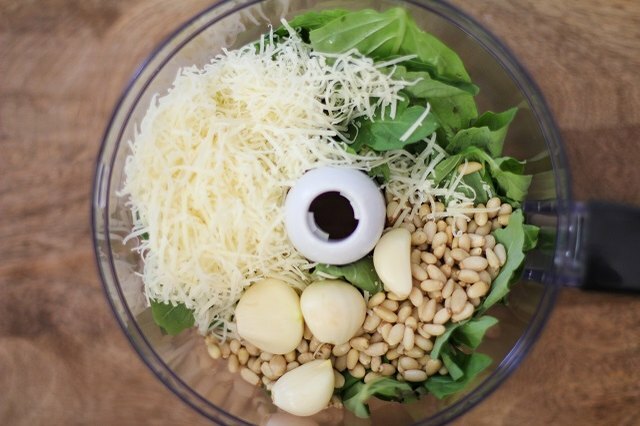 Add all of the ingredients except for the oil to a food processor. Pulse 4 to 5 times until the ingredients are roughly chopped. Turn on the food processor, and slowly drizzle in the oil through the lid opening. Process to your desired consistency. You can make the sauce completely smooth or leave it fairly chunky. 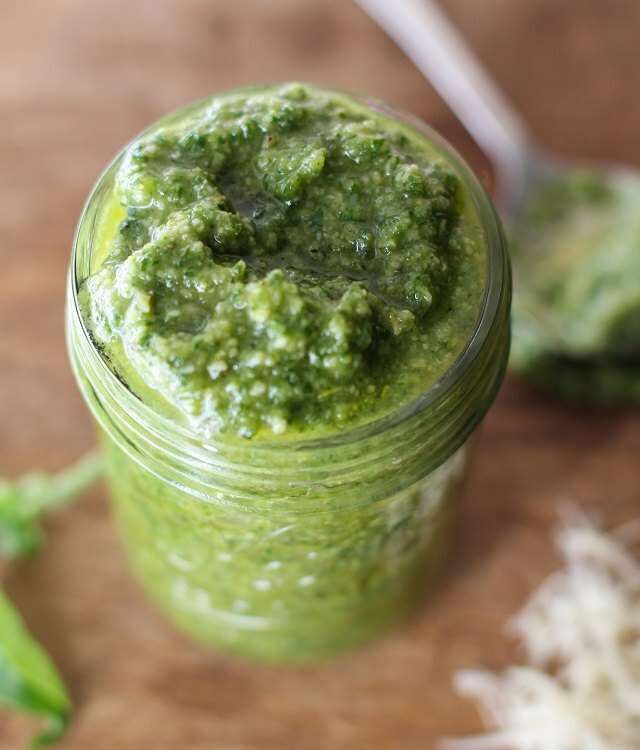 Pour the pesto sauce into a sealable container, and refrigerate until ready to use. Store in the refrigerator for up to 10 days. You also can freeze it in a sealed container. Now that you have the basics, experiment with a variety of herbs, nuts or seeds, oils and cheeses. Simply use the same portions listed in the original recipe, and combine various ingredients to create your own delicious sauce. 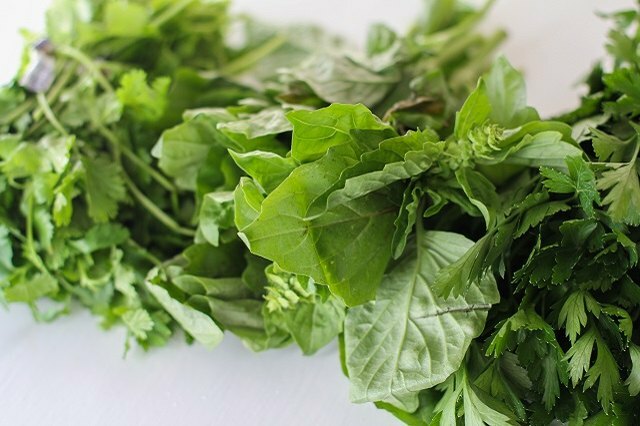 For a highly nutritious sauce, you can use leafy greens in combination with your favorite herbs. Herbs: basil, flat-leaf parsley, cilantro, sage, mint, tarragon. Leafy greens: kale, spinach, arugula. 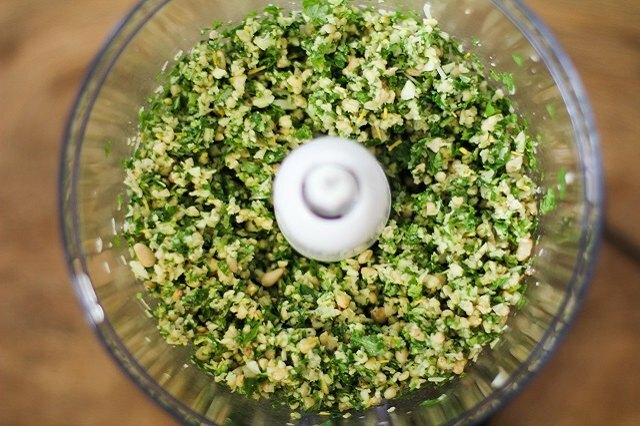 Note: If making pesto with kale, incorporate an herb such as basil or parsley for best result. Cheeses: Parmesan, Gruyere, aged white cheddar, Asiago. Nuts and seeds: pine nuts, raw walnuts, raw cashews, roasted almonds, pecans, pumpkin seeds, sunflower seeds. Oils: Extra virgin olive oil, avocado oil, almond oil, grapeseed oil, pumpkin oil.